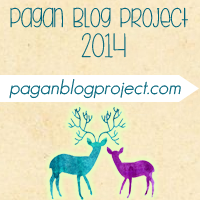 Pagan Blog Project Week 11: J is for Journaling. A lot of people who are in the professional business of giving advice will tell their clients, and almost make it a recommendation to anyone, to keep a journal. I am not a professional advice-giver (not technically anyway) but I would agree that keeping a journal is vitally important to personal growth. It doesn’t matter if you’re trying to lose weight, get to the bottom of emotional or psychological problems, or become an ascended master magician: these journeys will benefit from keeping a journal. This isn’t some psycho-spiritual babble: there’s a real hands on REASON. For clarity I’m going to use the weight loss example. One of the biggest issues in real weight loss and a program of getting healthy and staying that way is being honest with yourself about what, how much, when, how, and why you are eating. Most people don’t pay much attention to food and that can sometimes cause weight problems. Just the act of recording what we ate (preferably before/while doing the eating to avoid any unintentional or intentional acts of self-deception). If you force yourself to be mindful of your food intake, you might actually re-consider that second candy bar because you realize you’re not actually hungry you maybe just wanted a break. Also, that gets to another point of food journals: to find patterns in eating habits that might be triggered by emotional issues: stress, boredom, comfort eating – whatever. Without the food journal, these patterns are very difficult to identify and often times those of us (myself included here) will become defensive when someone tries to help us realize what’s really going on with our behavior. It’s normal and perfectly natural. The food journal is a place for us to come face to face with our behavior and emotional undercurrents with food or anything else. As such, journal are an important part of any kind of self-improvement because there’s our behavior in our own words, the reactions we got from other people, the emotional reasons behind what we did, and the overall outcome. Journals certainly are biased towards ourselves usually, but the value can come from re-reading them to find patterns in behavior or thinking that are unhelpful or downright destructive. When we become aware of the patterns, we can try to be aware and stop ourselves in the act: as well as record the results of different solutions to find what will be best for our lives. I think journals can be especially helpful for people who have trouble empathizing and issues with thinking through the consequences of their actions. I have found journaling to be especially helpful in my issues with weight, eating disorders, and body image. Any kind of spiritual or magical path is about self-improvement. Journaling is equally important to our magical and spiritual lives. The first “spiritual journal” I kept was a requirement during a yoga retreat. At the time, I was skeptical and didn’t think I’d have anything to write at all never mind that this is a practice I’d end up keeping in my life. However, by the end of that two-week period I had written up half the journal I bought for the occasion and had a new understanding of myself. I keep a separate journal for magic, divination, dreams, and general spiritual things from my regular journal. This just helps me find things easier. My journal is not necessarily a “book of shadows” or a grimoire, it’s just my own personal reflections on spiritual ideas and experiences. There might be the odd description of a ritual (especially those I’ve attended in groups) or spell, but it’s mostly my thoughts, feelings, and impressions. Reading through the journal I can see my spiritual development-which is kind of cool. It’s also helpful for me to keep track of my feelings, premonitions, and what have you. I can look at the patterns in my journal and use them to keep improving on my own spiritual and magical goals. Does anyone else keep a journal? If so have you found it helpful? Do you ever re-read entries? This entry was posted in Life, Magick, Pagan Blog Project, Paganism and tagged Eating disorder, Pagan Blog Project, recovery, spirituality. Bookmark the permalink. I’ve tried, over and over and over, to keep a journal. It just never sticks. I’m a highly verbal person, so the time it takes to write things out frustrates me and I begin to lose interest almost immediately. I’m also, for the most part, a highly self-reflective person. I rehearse conversations before I have them, and I relive them afterwards to understand why certain things played out the way they did. I do it automatically, so writing in a journal always seemed a bit “late”. However, this Pagan blog has been my most successful attempt at journaling in a long time. I can honestly say it is only because of the Blog project that I’ve kept things so steady, but I am still proud of what I’ve put out. The only thing that has come close to this was my Twitter account, which I still go back and re-read, because each little micro-post has a memory now and I can relive those moments so easily. Sadly, I’ve fallen out of habit with Twitter, so It may just end up being another half-filled notebook like so many journals before! In any case, another great post! I’m glad journaling is a tool that works so well for you! I’m honestly a little bit jealous of journalers, so keep it up! Haha I don’t mean to give off the impression journaling comes naturally or easily to me. I guess, a lot of my personal journal entries could be tweets. But they make sense to me and I can revisit them. It defiantly helps me remember things and gives me “evidence” to connect the dots on some things so I don’t feel quite so crazy. I also admit that aside from the forced yoga retreat (where I knew no one so I had a day or two to really make friends) my only “journaling” was through LiveJournal to talk to my friends about stuff I didn’t want my parents or anyone to overhear me discuss on the telephone. Is that a Gen Y problem? It was much easier to keep up in those days! This isn’t quite the same because I generally try to edit at least twice… I mean, okay, once over is usually all I manage but I’m really trying to be more disciplined and write like my English degree taught me! Likewise – my personal journal entries rarely contain full sentences. They are never the less helpful. I also rehearse conversations before I have them: I always thought that made crazy. I have this strange superstition about putting my deepest thoughts on paper for anyone to read if they are found. I do journal at times, but afterward I incorporate those words into Ritual and then they are destroyed in fire as an offering of Prayer to the Goddess. I agree that’s a good way journal entries can be helpful. I guess I self-censor to an extent because I wouldn’t say I write my “deepest thoughts” I’m much more likely to speak my deepest thoughts than write them. But I have written some things as a prayer and burned it.